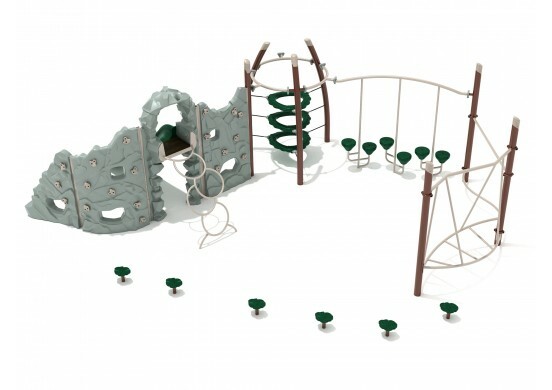 Elephant Rock links some of our most popular playground events into a single obstacle course. Children will try to maintain their balance as they leap from one elevated stepping stone to the next as they traverse the Leaf Pebble Path. 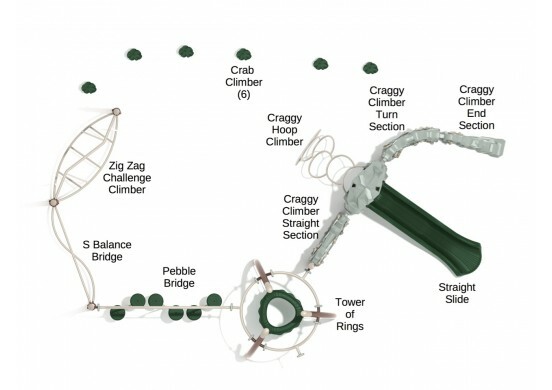 This will take them to the wacky curved bars of the Zig Zag Challenge Climber. If they can make it through the twisted tangle, they will arrive at the S-Balance Bridge: a deceptively difficult balance beam. Luckily, there is an overhead beam to hang onto to keep steady. Next comes yet another challenging bridge, but if kids can cross the steps of the Pebble Bridge they will reach the impressive Tower of Rings. 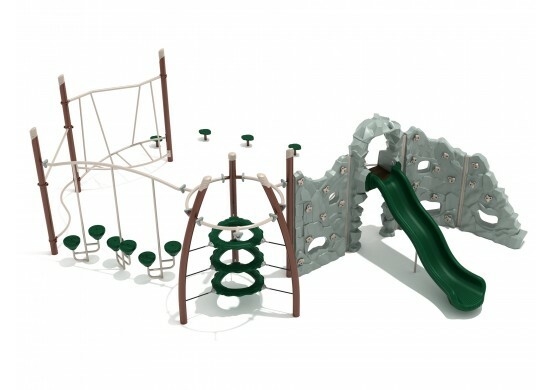 This unique structure has three suspended rings that kids can crawl through or all around. 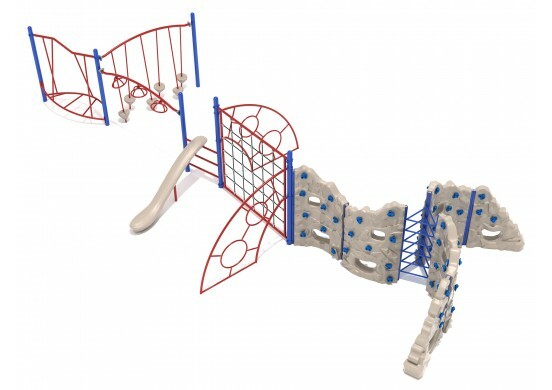 But the most impressive feature is the large Craggy Climber wall made from three distinct sections and a slide. 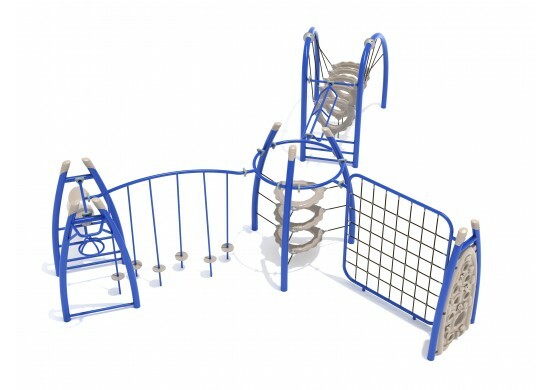 The entrance of the slide can be reached by moving along the face of the Craggy Climber, or by simply using the Arch Ring Climber. Established to encourage the physical and socio-emotional development of every child in the West indies – making our impact on the region’s future.